Call me weird, but I'm not really into Japanese food. Before this night, I've tasted Ramen once. I've always dreamed of exploring Japan, but I'm not sure I'm into their food. It's probably my salty taste. Table sharing is a common practice in busy restaurants in Japan. In Japanese culture, being invited to a person's home to share a meal is rather uncommon and indicates a close relationship. However, sharing a table in public with strangers is just a routine occurrence with no special meaning. It is an example of how Japanese concepts of personal place are adapted to crowded urban living conditions. Award-winning tonkotsu pork broth prepared in the traditional, mark-wateringly rich, fresh and aromatic; special handcrafted noodles and classic Nagi pork chaschu. Damn! Now I'm gonna have to explain to everybody why I suddenly shifted to I-have-nothing-to-eat-at-a-Japanese-restaurant to let's-eat-Ramen-please!! I loved it so much I couldn't stop thinking about it! Although I'm probably going to shift from pork belly to shoulder. 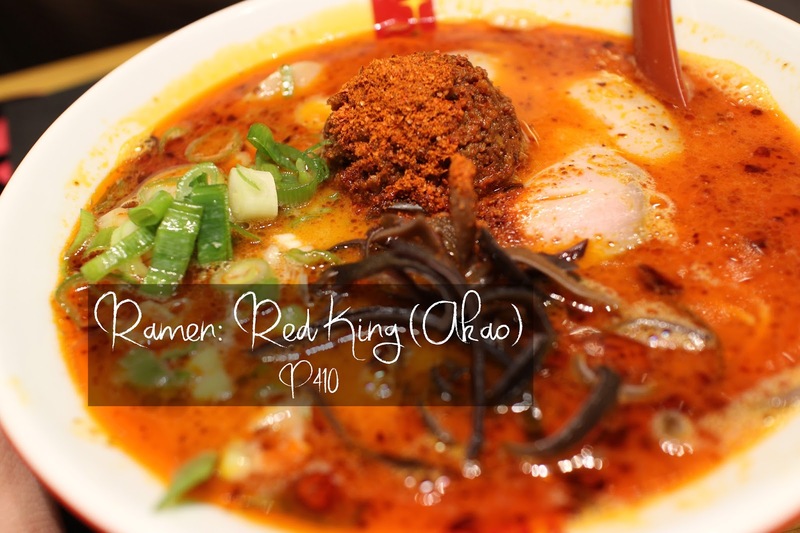 "The ultimate in savory spiciness"
A striking blend of garlic, chili oil and cayenne pepper in a velvet broth; topped by a tempting ball of miso-infused minced pork and select Nagi cayenne, with tender caschu. 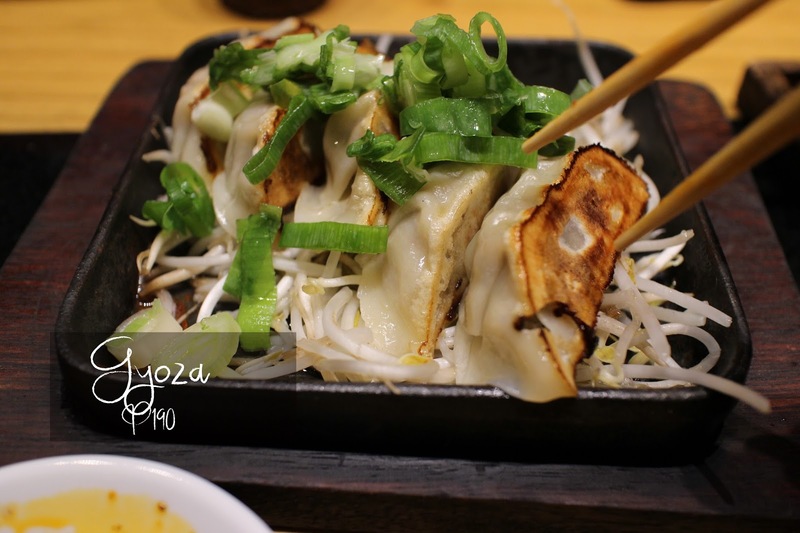 Okay, I eat gyoza. To me it's just like dumpling. Well it is dumpling. Whatever. But I love it. 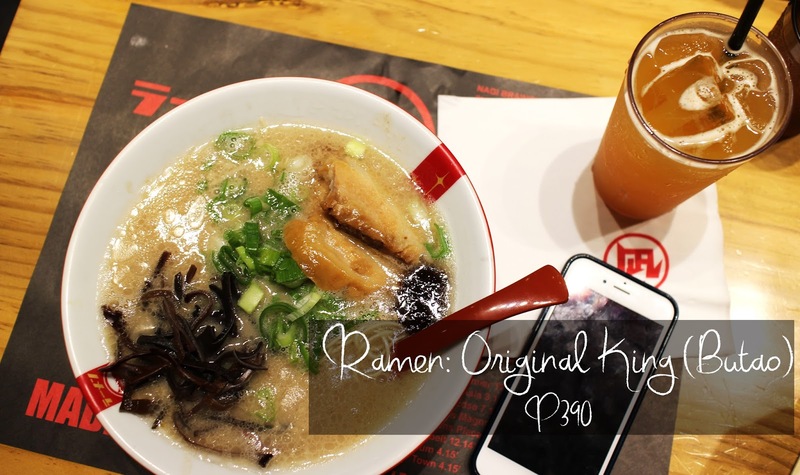 To sum it all up, my experience in Ramen Nagi has indeed changed my mind about Japanese food. It still does not fall into my favorite cuisine, but at least there's something I will order. I cannot wait for my next Ramen Nagi visit. Having lunch outside of the house is relatively an unusual thing for me these days due to my current status that's why I always look forward to these kinds of invites. My mom planned another bonding day and bonding day always turns out to be pig out day. Kale, romaine lettuce, grated parmigiano, vine-ripened tomato wedges, kalamata olives croutons. Lemon Ceasar dressing. People close to me know that I'm not much of a vegetable kind of girl, but Caesar Salad is one of the very few veggie dishes I eat. 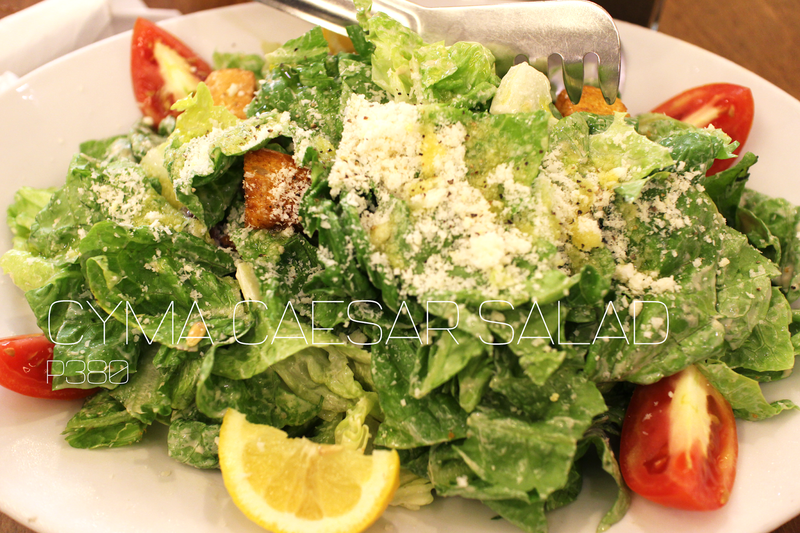 Cyma's Caesar salad is not like your traditional Caesar Salad but it tastes good in its own way. I think I finished half of this to-share order. 3/4 inch thick, tender, bone in. Served with your choice of side. As always, rice on the side. 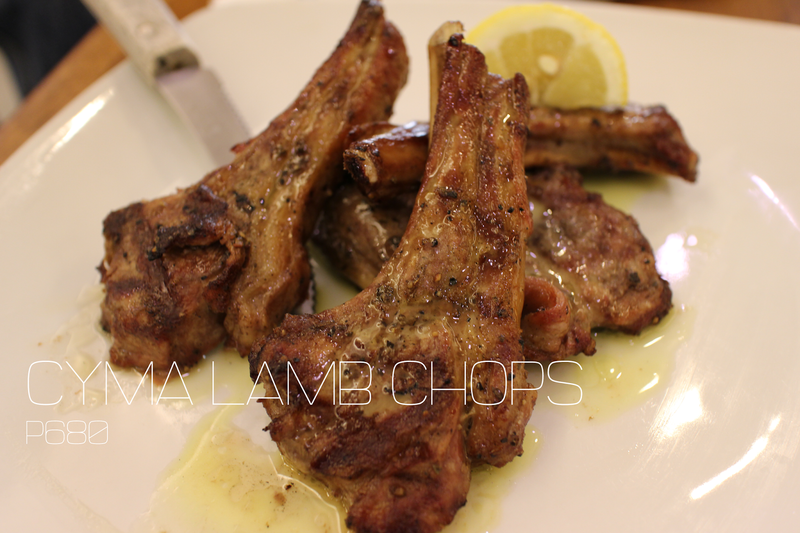 I had a hard time finishing both chops because I was full from the salad, but nevertheless, the chops were great. It was as good as the photo. Greek Roasted - braised then broiled with lemon, oregano garlic, kefalotiri cheese, mustard, paprika. 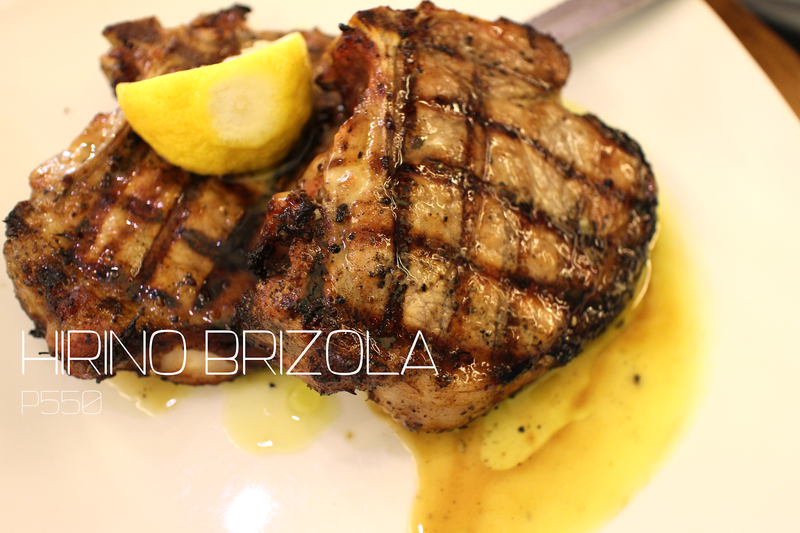 Served with roasted vegetables and natural jus. White wine, lemon, parsley, parmesan, EVOO, angel hair. My favorite part. I'm also not much of a pasta eater but I always eat this one. Given that its seafood, it doesn't have the stench taste. It's all damn good. Being full with salad and my chops, I was only able to eat a few of this goodness but it doesn't make it any less better than most clam pastas. 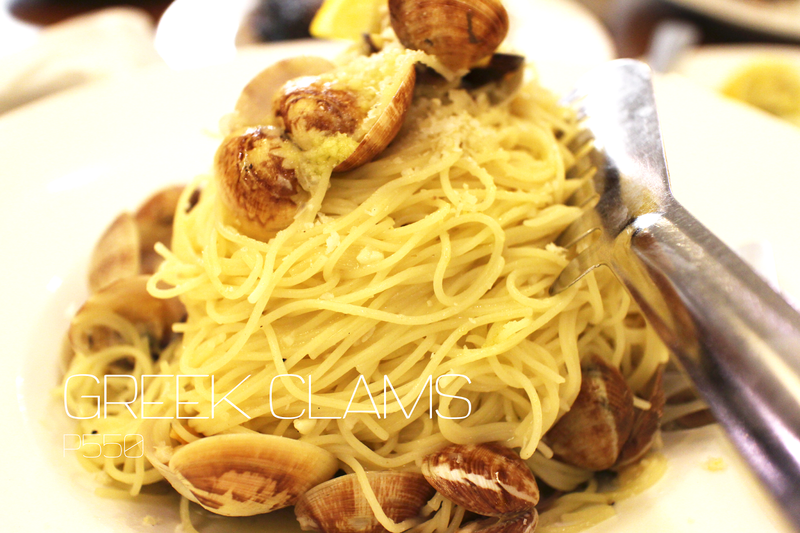 There are a lot of Cyma branches in Manila and if I made you crave for such dishes, you could visit the branch closest to your home. As mentioned on my previous entry, I've decided to create a series of blogs about my favorites. 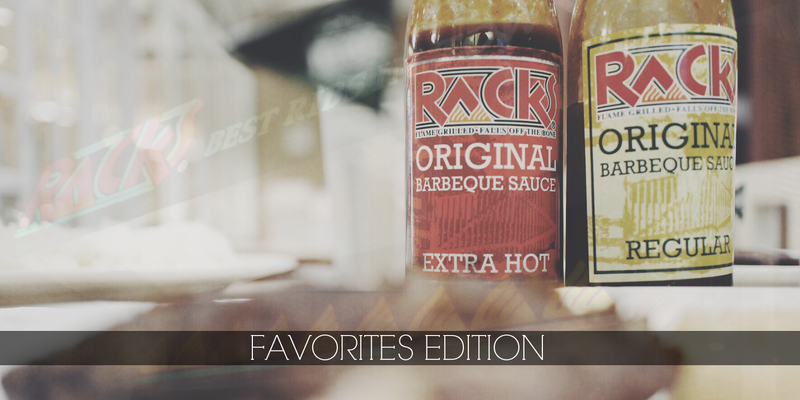 Racks, claiming to have the best ribs in town, is actually my personal favorite "ribs in town". 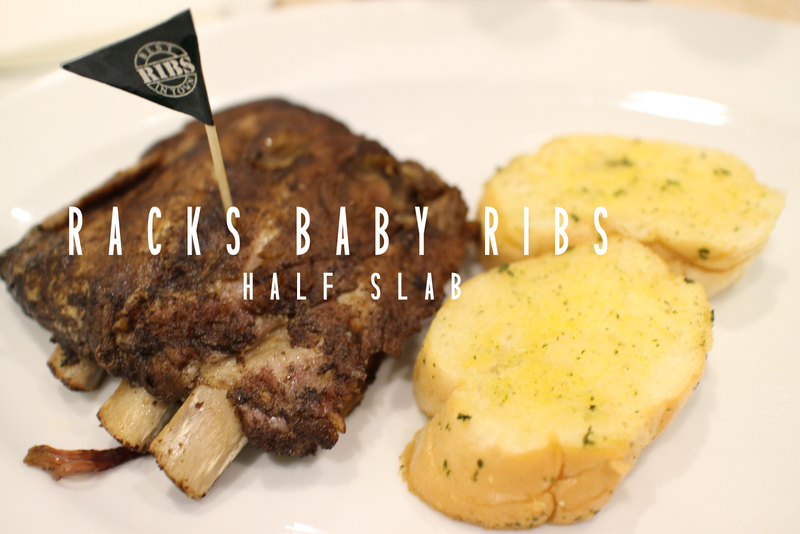 Rab and I always choose to eat at Racks (whichever branch is the closest from where we are) when we both crave for ribs. Their tag line for their ribs is: "Flame Grilled - Falls Off the Bone". As a frequent Racks eater, I would agree to this a million times. We would always order Racks Baby Ribs. Just like any other restaurant, they set their tables with spoon, fork, and a knife. Western people, if I'm not mistaken, they eat using knives and forks. As a proud Filipino, I am used to using spoon and fork. Usually, I would still use the given knife because other restaurants slightly fail on serving a really tender set of ribs. With Racks, you wouldn't really need the knife to slice a piece. It literally falls off the bone. About the taste, I would give it a score of 90, and the remaining 10 would go to their sauce that goes really well with it; so they still get a score of 100 from me. 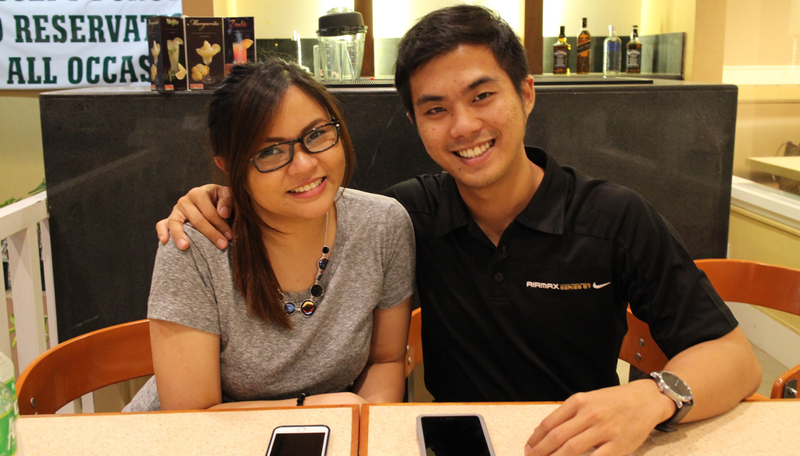 Aside from great food, most Racks branches we've been to have really great service. They'd always tell you that it will be served within 15 minutes, and most of the time, our order would arrive in less than 15 minutes. In addition, you need not ask for water for their staff automatically serves glasses of water to be followed by a pitcher. 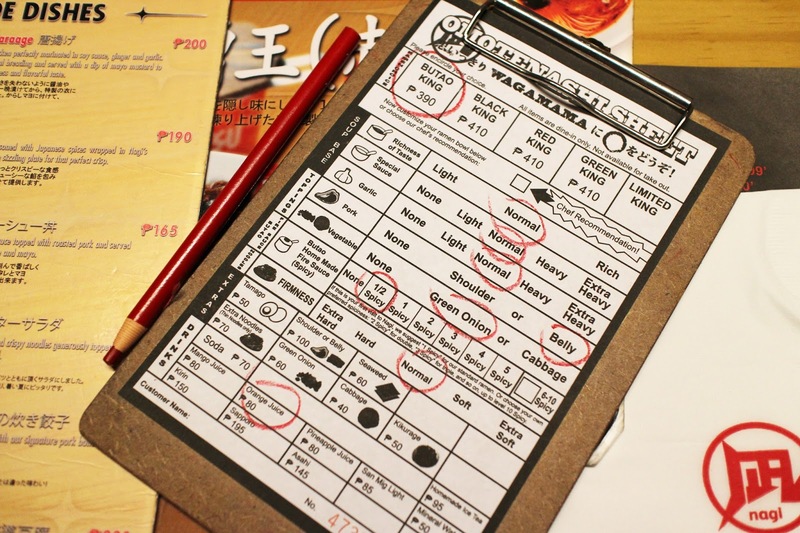 We've eaten at Racks Megamall, SM North, and Magallanes, but this certain dine in was at their Timog branch. You can check out all their other branches here at their Munchpunch page. Throughout my short blogging hiatus, I still kept on reading famous blogs and noticed how most of them have very organized entries. I'm not trying to be as good as these people, but I thought it would be better for my own (personal) blog if I would create categories. I came up with Favorites Edition and would think of other terms/names for other entries I am to write. 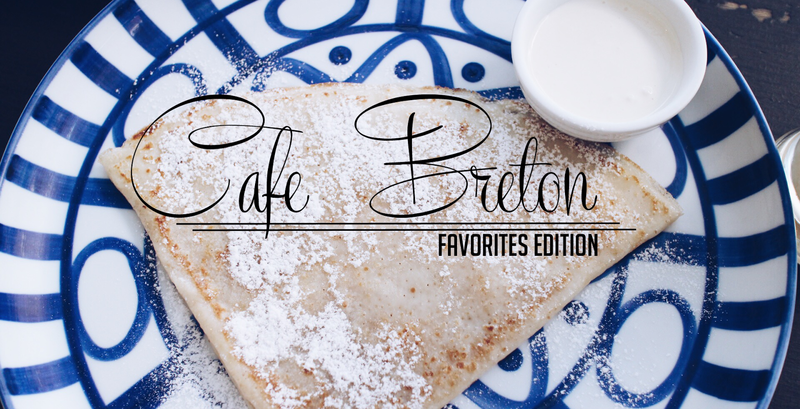 Cafe Breton is considered as one of my favorites and I visit any branch at least once a month. I always crave for their crepes. I don't order coffee there that much because I am such a Starbucks person, and also because in my opinion, they have something better in store for me. They have a lot more choices for crepes but this really captured my heart. I believe it is the cheapest because it's somewhat plain, but I love how it tastes perfectly. I always order extra fresh cream because without it, it's really really plain. 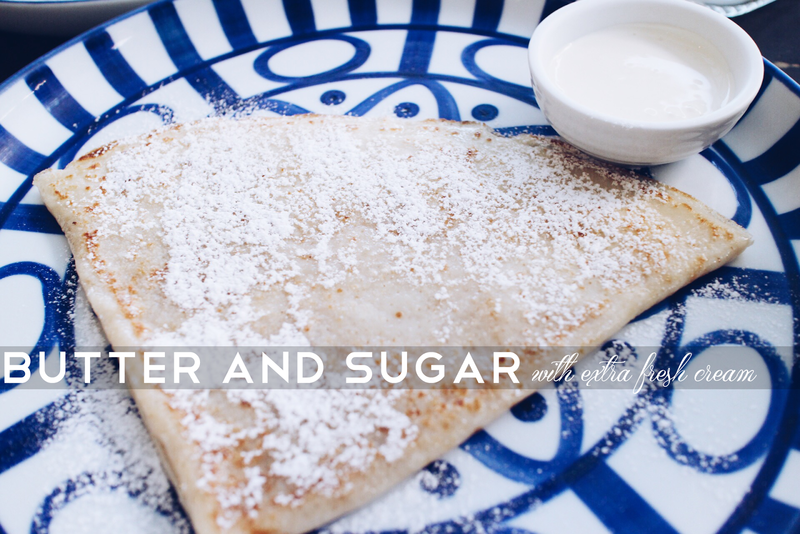 It's not too sweet, and it is exactly what I am looking for in a crepe. When I was in college, we had a crepe stand in our cafeteria and I always ordered something too sweet and that's probably why I prefer just the right amount of sweet. I'm sorry, make that the perfect amount of sweet. During my first few months of Butter and Sugar Crepe addiction, I order two extra fresh creams until I decided to stick with just one. I don't pour the cream on my crepe - I cut a small piece and then dip it on the cream. Uh, perf. As mentioned above, I don't order coffee that much unless I really need one. I always order their Banana Slush. It's obviously made of fresh bananas, but it doesn't have milk. You can order the Banana Shake if you want milk to be added. 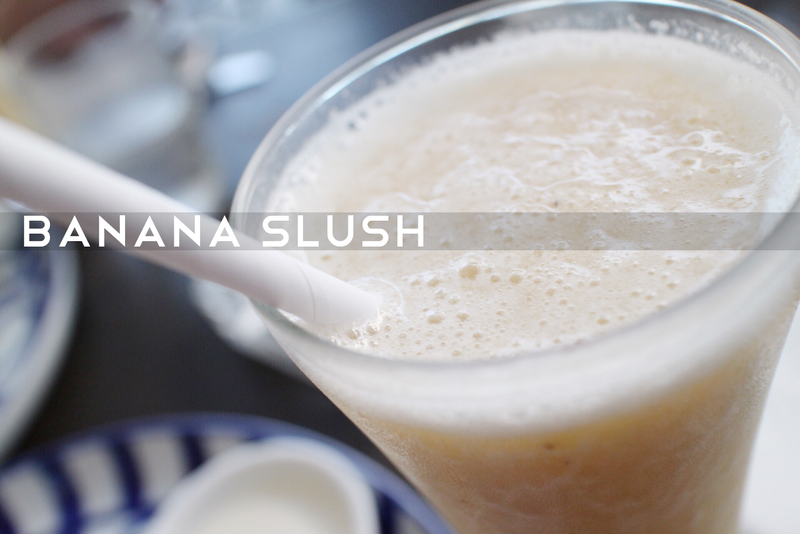 I prefer the slush over the shake because sometimes, the milk and sugar overpowers the taste of the banana. I like it fresh-er. 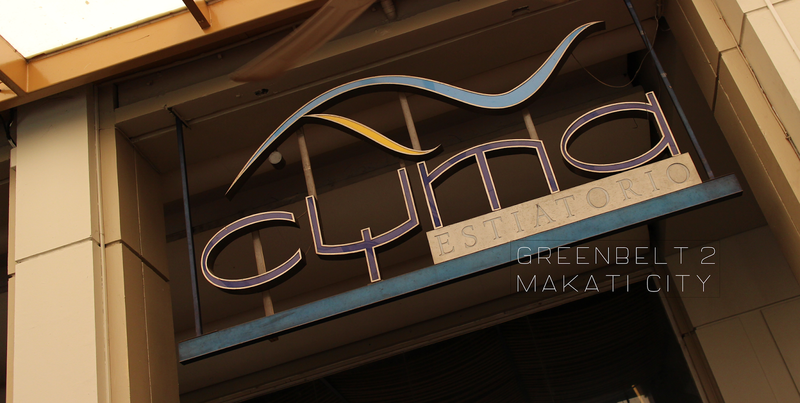 There are a lot more branches like TriNoma, Westgate Center, Podium, SM Mall of Asia, Robinsons Midtown, and The Hub. Go and visit the branches closest to you!